Like humans, ants sometimes struggle with infections. But unlike humans, some ants produce their own, strong antibiotics, on the surface of their body. A new study looked at which species can do this, and how in turn, their ability could enable us to develop better antibiotics. 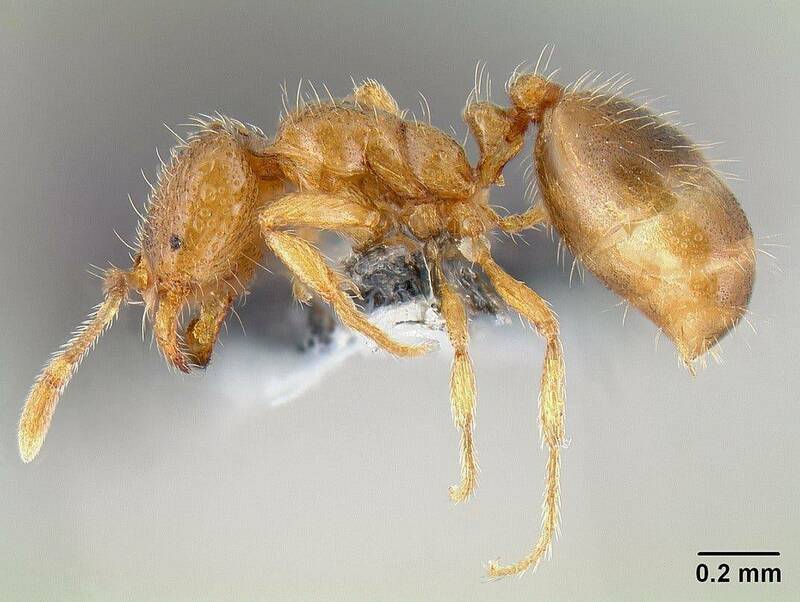 The Thief Ant (Solenopsis modesta) produced the strongest antibiotics. Image credits: Michael Branstetter / AntWeb. “These findings suggest that ants could be a future source of new antibiotics to help fight human diseases,” says Clint Penick, an assistant research professor at Arizona State University and former postdoctoral researcher at North Carolina State University, who is lead author of the study. Researchers tested the antimicrobial properties associated with 20 ant species. Out of them, 8 didn’t produce any antibiotic (40%), but the rest did. In particular, one species produced an impressively powerful antibiotic. “One species we looked at, the thief ant (Solenopsis molesta), had the most powerful antibiotic effect of any species we tested – and until now, no one had even shown that they made use of antimicrobials,” says Adrian Smith, co-author of the paper, an assistant research professor of biological sciences at NC State and head of the NC Museum of Natural Sciences’ Evolutionary Biology & Behavior Research Lab. To assess the ants’ antibiotic-producing abilities, researchers used a solvent to remove all of the substances on the surface of each ant’s body. They then introduced these substances into a slurry of bacteria and compared how the slurry of bacteria grew for each of the ant species. The stronger the antibiotic, the less the bacteria would grow. You can watch a video documenting the process below. The results could be significant for a number of reasons. For starters, it could allow doctors to develop better human antibiotics. But it’s also important from a biological standpoint. Researchers aren’t sure why some ants appear to not have any antibiotic-producing activities. Traditional knowledge postulated that all ant species produce some antibiotic but if this is not the case, it might mean that they’ve developed a different way to protect themselves, and this may also be promising to investigate. The team wants to explore this further. They plan on testing more ant species against even more bacteria species, and they also want to determine exactly how and where in their body the ants produce the antibiotics. The paper, “External immunity in ant societies: sociality and colony size do not predict investment in antimicrobials,” is published in the journal Royal Society Open Science.